What color shirt will jh wear today? I'll say Blue. @d7 they probably deliberated for less than that. i imagine the paperwork took a couple hours on its own. At least it is not a hung jury. Plus, I think there's just a box to check on each count, so even if they have a guilty verdict, they would just have to go through and check each box. They could have even passed the forms to the attorney to complete for them so they could do so more quickly. May god be with everyone involved!! My heart aches for all of them! 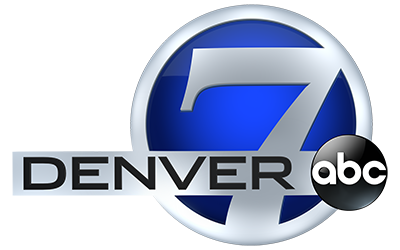 Thank you 7 News for having amazing coverage of this trial and allowing us all to blog even though we disagreed at times, I feel like everyone here truly cares for the Aurora community. Bottom line- be good to one another! How many thought they would reach a verdict this fast? That's a very darn good point, Tammy. I hope that's not the case though! I don't wish the death penalty on Holmes, as I don't wish it on anyone, but here's hoping for a guilty verdict either way. @LG - I thought it might be Monday. what time zone is the 4:15? I'll be surprised if its NGBRI, but I'll also be surprised if its the death penalty. I thought the only thing that would take long was filling out all those forms. Guilty! Question for legal expert: why didn't the defense stipulate to the shooting and the IED? Wouldn't that have preempted the introduction of all the emotional and graphic victim evidence, plus the bomb details (which really showed his ability to think and plan)? I don't think anyone thought they would reach a verdict this fast LG. I am shocked. If it weren't for what's happening in Chattanooga, I wouldn't have known! Thought earliest verdict would be Friday. Otherwise, next Wed or Friday. I think it's great for the pros. @LG I am in awe that it came this quickly. The significance of this moment, and these upcoming moments, is just unspeakable for so many. This case has culminated at the height of my legal education, and as a Colorado native it's certainly impacted the way I view the system. I give all my love and all my support to those affected by this tragedy, and hope that from here it's all healing. I had to cancel a date. Hahahahahahaha!! He will get over it. LG, my guess had been on Monday. I'm rather surprised. Praying for the families, yes even JH's. I can't imagine being on either side of parenthood in this. @7news/Phil/Anica - just wanted to say thank you for the alerts you set up and for hosting us for the weeks this trial has taken. Thank you for the closure you've helped some of us who knew people there reach. And thank you to those of you who have been here through all of this chatting and bringing your perspectives/experiences. Wow, I totally didn't expect a verdict this fast. But I guess, if it was guilty or NGRI for one count, it was going to be guilty or NGRI for all. To all of you commenting about Casey Anthony and George Zimmerman: As a native Floridian, I am sincerely sorry for adding these two people to the planet. It is quite embarrassing for us all. Hopefully, justice will be served in this case. Today's verdict will be either guilty or not guilty by reason of insanity. If NGRI, he'll be committed to a mental institution. If guilty, the case will move to the sentencing phase at some time in the near future. D7, I understood by how they went through the forms, they could also find him simply not guilty. I thought they had 3 options. @TammyGarrison: Not guilty is so unlikely as to be rationally impossible. The defense concedes the crime occurred and he did it. Insanity is their only defense in this case. I'm nervous. I have not been able to watch a trial since the horrible shock of watching a jury acquit Casey Anthony. I just can't help but keep remembering the Prosecution's burden of proof. And the Jury's obligation to reasonable doubt. I've been pro- prosecution since Day 1. They've done a phenomenal job. Knocked it out of the park! Brauchler is a legend. The work they put into this case and love and respect they've shown to the victims, survivors, and victim's families was truly a privilege to watch. All of that said, I'm not going to be shocked if the verdict winds up being NGRI. I don't think the prosecution left ANYTHING to chance. The evidence is clear. I can't imagine the court room will be quiet today once the verdict is read this afternoon, no matter what the outcome is... I just don't think it will be the case, anyone else?